ATM at Magic City01493 662187work ATMMagic City amusement arcade in Gorleston-on-Sea near Great Yarmouth is great for gamers. You can stop for refreshments in their popular cafe while you're there. Magic City amusement arcade in Gorleston-on-Sea near Great Yarmouth is great for gamers. You can stop for refreshments in their popular cafe while you're there. From Great Yarmouth follow signs for Gorleston-on-Sea. 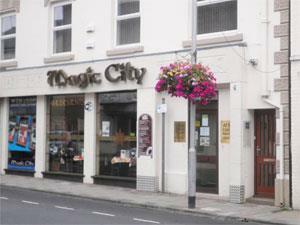 Magic City is located mid-way along the main High Street.